A Kinesiology major can be one of the most rewarding educational pursuits on any campus. The education is filled with activity, interpersonal communication, and the study of the human body and psyche. 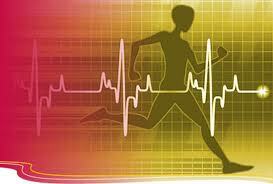 The post-graduate opportunities for a student completing a major in Kinesiology are vast. In this article we will explore the joys, trials, educational requirements, and opportunities you can find with a degree in Kinesiology study. A Kinesiology major is a unique course of study with a variety of career opportunities. In most cases the Kinesiology graduate programs to obtain a masters or PhD is aimed for students preparing to teach either at a high school level or as a college professor. The minor in Kinesiology study is a great addition to a major in Education, or any sports related degree. As you can see from these courses your major in Kinesiology study includes a variety of courses which prepare you to work in almost any environment. It is not surprising to find a graduate with a Bachelor of Kinesiology to be highly successful working in Health Insurance management, Corporate Fitness management, Human Resources, Retail Management, or managing a sports team. There are some very interesting options if you desire to pursue a Masters Degree in Kinesiology. If you have not already started your studies you may want to check at your local university to see if they offer a program similar to Kansas State University. The K-State Kinesiology Department offers a unique accelerate BS/MS Degree program which allows you to complete all of your studies in only 5 years and graduate with your Masters degree. In all of these programs the exit requirements are very stringent. This is due to the fact you are not on campus to participate in hands-on training. Almost every major university offering a Bachelor of Kinesiology Degree in an on-campus setting offers a master’s program, also. These programs usually take you from the aspect of understanding Kinesiology as a practice to apply into a research and scientific investigation phase. This can be an exciting adventure into acquiring a deeper understanding of the human condition. As mentioned at the beginning of this article, there are trials you will face when pursuing a Kinesiology major. Kinesiology study requires a wide variety of intensive scientific classes including biology, bio-chemistry, anatomy, and others. These courses can be challenging for some individuals, where others find them intriguing and interesting. When choosing Kinesiology as your area of study it is important to understand you are entering the science of the human body not just classes on exercise. The other challenge you should expect to face is the weight of your Kinesiology books. When you begin buying books on Biology, Psychology, Anatomy, and Chemistry you will discover they are thick, heavy, and expensive. The good news, since you are studying proper use of your body you should be able to easily carry the weight. Many of your textbooks and courses will be focused on applying kinesiology in exercise and therapy, not just in the dry lecture and textbook study of the science of kinesiology. Your Bachelor of Kinesiology may leave you a bit puzzled as you prepare to enter the workforce. There are very few jobs which specifically call for this degree. Most opportunities are hidden under the guise of exercise, sports, and therapy titles. It is not uncommon to find a majority of graduates with Bachelors degree in Kinesiology to be working in totally unrelated fields. The classes have prepared them for a wide variety of opportunities. The Kinesiology major does not prepare you for a specific job title; it opens the door wide for you to explore many opportunities in both further education and career choices. 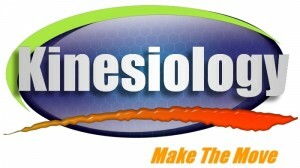 A PhD in Kinesiology is almost certain to be found working in the education field or as a researcher. Not surprisingly, one of the most common pathways for graduates with Kinesiology major is to continue their education into a, sports medicine career, Physical Therapy, or even to become a medical doctor.